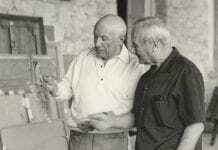 PABLO Picasso’s Women of Algiers has smashed the record for the most expensive painting ever sold at auction, eventually going for €160 million. 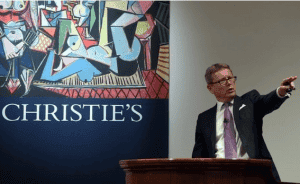 The frenzied bidding war lasted 11 and a half minutes as five keen buyers fought for the oil painting, at Christie’s in New York. Applause broke out when auctioneer Jussi Pylkkanen finalised the sale at €160.9 million, including just over 12% commission. The painting is part of Malaga-born Picasso’s 15-work Women of Algiers series, which he started in 1954 shortly after the death of his friend and competitor, Henri Matisse. 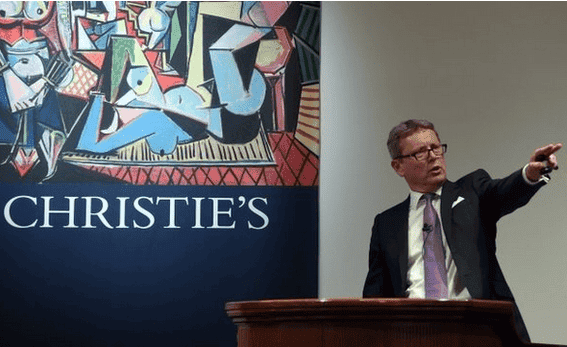 Christie’s confirmed it was the highest price any art work had ever been sold for at auction, a record previously held by British painter Francis Bacon’s ‘Three Studies of Lucian Freud’. 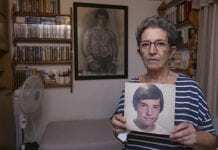 His painting sold for €127 million in 2013, also by Christie’s in New York.